Not many war maps for UT3, nice to see another. Rumplehedskin : Your rings of teleportation are really Excellent , Have you the project to put them in a playable map? Or maybe include them in the final version of WAR-Stargate? BloodK1nG : I like this map, it is a good work. I imagine that this map have taken you a lot of time, the result is really pleasant. Too afraid to test my map? Give me a gameplay reason to include it and I'll do it! Maybe the rings of teleportation could be good inside the mothership Goa' ulds, they could replace jumps-pads. P.S : The stars gates are realy good. The newest Jailbreak version of this map have teleporter rings and cool sound (you're in godmode during the process) but it takes 10s when a jumppad take 1.5s; do you really want it? "do you really want it?" The blue core is far too easy to hit compared to the red core. You can hit the blue core as soon as you emerge through the stargate. Red core is much better protected and you have to get much closer before you can damage it. I add the rings of teleportation: you need to "activate/use" the console before walking on the pad. Looks good! Here are some suggestions. 1. WEAPON LOCKERS! This is Warfare not DM. Don't make players go on a scavenger hunt to find weapons. Leave the ammo but loose the weapon pickup bases. Put ALL weapon lockers near player spawns so you spawn with weapons. 2. 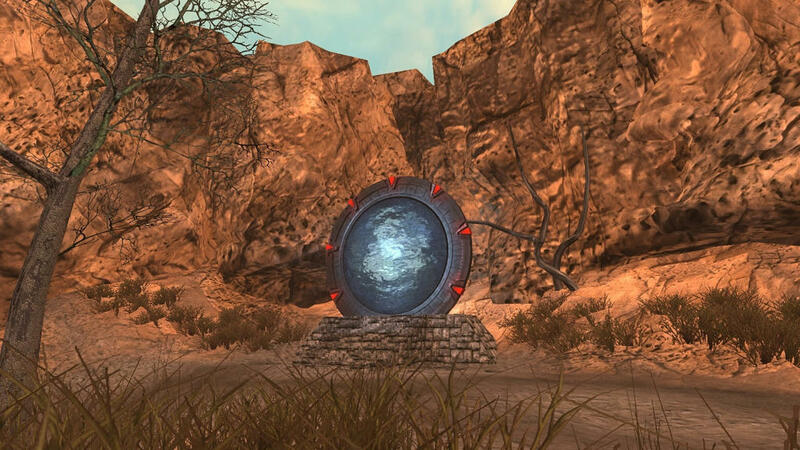 Make the red lights around the stargates that go to blue base BLUE. I walked in circles looking for the way to get to blue base before I realized There were 2 stargates. Edit: I currently rebuild blue base into something more "alien"
- The passage in Stargate with roverboard make a small bug but it do not damage the gameplay. 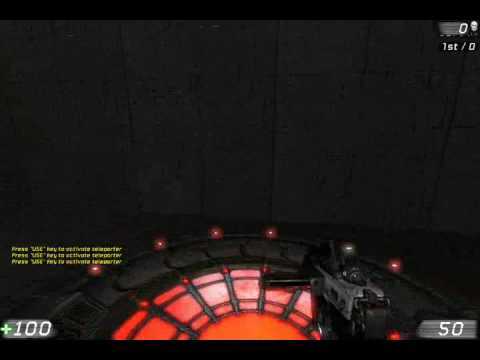 - In the throne room, it is possible to come down Without the portal but only with one corner on three. - The joke with the rings of teleportations did well to me to laugh but it works only once.... If it leads in a "bonus room " it would be possible that this one is functional for example by adding it a redeemer?